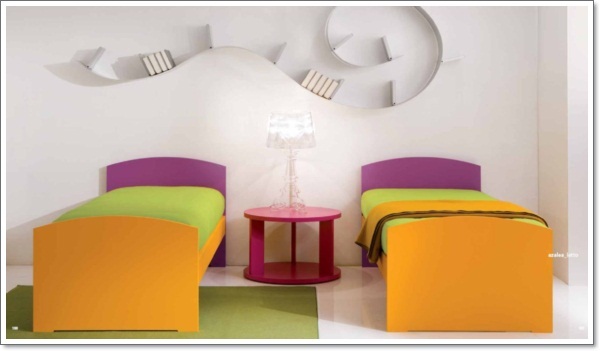 Kids rooms bring out the imagination when it comes to design and inspiration. It’s not just you who needs to be inspired but the child whose room it is wants to feel this is his/her space. Talk about the room with the child and go over all the ideas that the child has so that some of these can be incorporated in the overall plan. It’s important as a child grows that he/she feels that sense of independence and letting them in on the decorating of the room will inspire you and them to putting together ideas that work. The first kids rooms parents have to build a theme for is of course the baby or toddler. 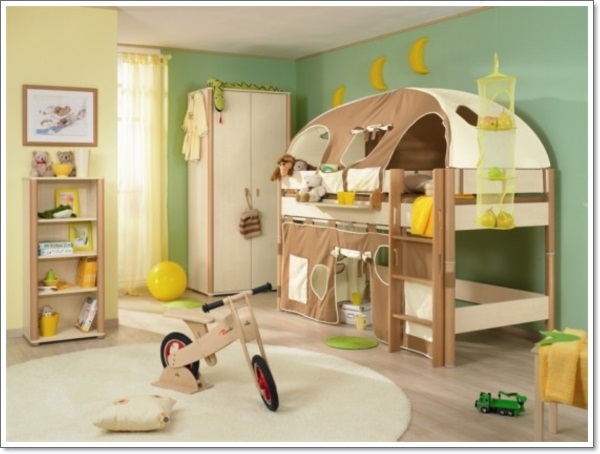 Themes which can be created for toddlers include great pastel shades, big huggy bears and defined play areas and bed area. 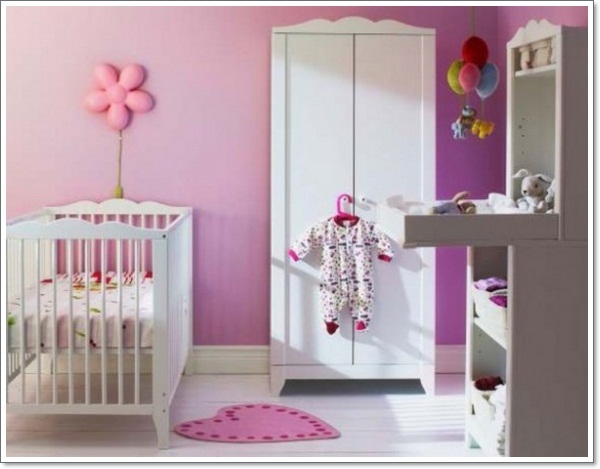 Step away from the “blue for a boy” and “pink for a girl” and go for a neutral tone such as primrose instead, with the cot being in white. Add a stencil to the cot back and front panel so that it’s personalized. Initials or name could be included. 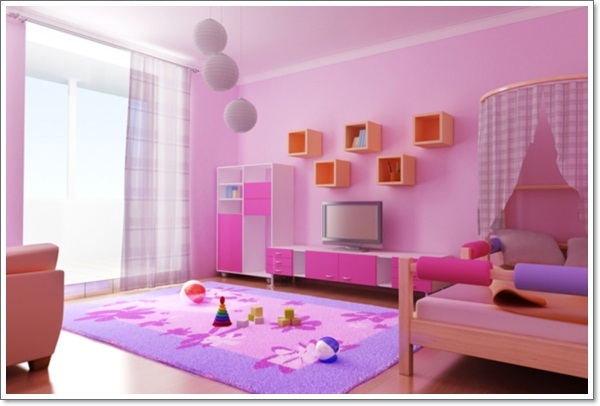 Toddler’s bedrooms are fun to create and pale colors help them to relax and go off to sleep. 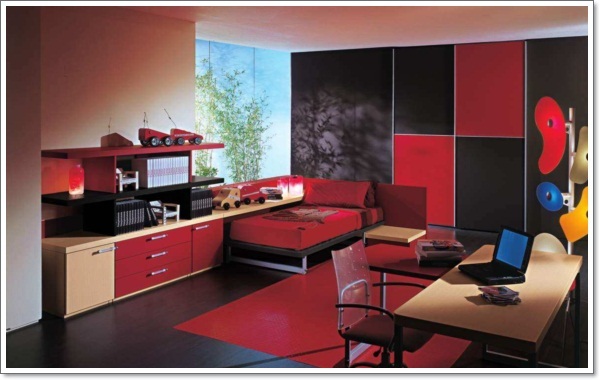 The younger child who has favorite books such as Postman Pat can have this theme put into the bedroom area. The websites selling items of décor which go with their favorite characters, the room will be an inspiration to the child and encourage reading skills. Self adhesive murals are the way to go, as these add bright colors to the room which make it seem bright and inspirational to the child. The little princess who wants her ideas reflected in the room can have that princess style bed which can be draped with voile and made to look like any princess would want it. Pale pinks for walls make the room look girly. Let her have her royal pillows and a cupboard where she can keep secret things. The theme of the room should be reflected in each item placed in the room, so that she not only feels like a princess but can imagine actually being one. The little princess may even enjoy the addition of a wall mural which shows other princesses coming to join her parade. If you have two princesses, why not put the beds side by side and let both enjoy the same privileges? A fairyland theme is a great one for a small child. Decals make this possible by adding trees and mushrooms, and magical pictures. A bed that is safely enclosed by its own wall, reached by steps makes this land of goblins and fairies complete. Other ideas using fairies as the main theme are equally possible. 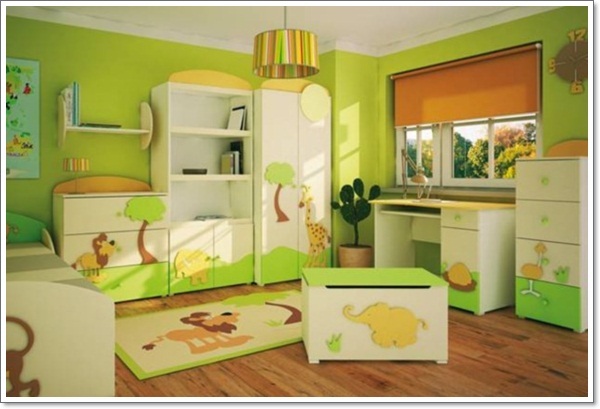 Try decals on the walls which show landscapes and flowers and let the child tell you what’s missing. For the boys, how about a racing car theme? A bed in the shape of a car would make this very possible. Allow space on walls for checkered flags and trophies together with photos of heroes of the racing track or favorite car collections. He will be inspired by the overall look and different elements can be introduced which have that same racing theme. Similarly, he may be interested in sports, and a sports theme may be just the inspiration the parent needs to provide him with a room fit for a super-sportsman. Add sports memorabilia, a display of basketball cards and even a basketball basket so that he can keep in trim. 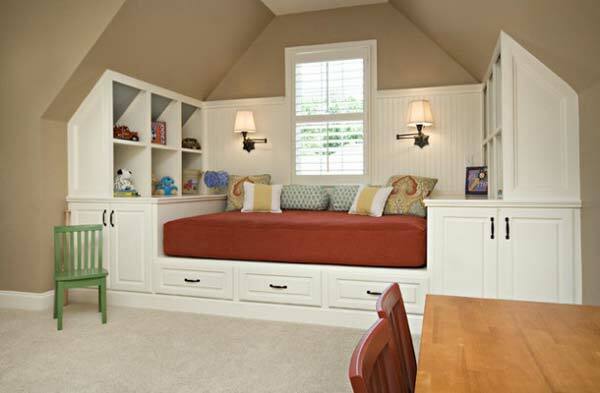 For those children who need to share a room, why not have bunk beds and let the children have an area for play which allows them to get along together rather than playing separately. Parents need to respect a child also needs private time, and use of screens can make this possible, creating a work space for homework. 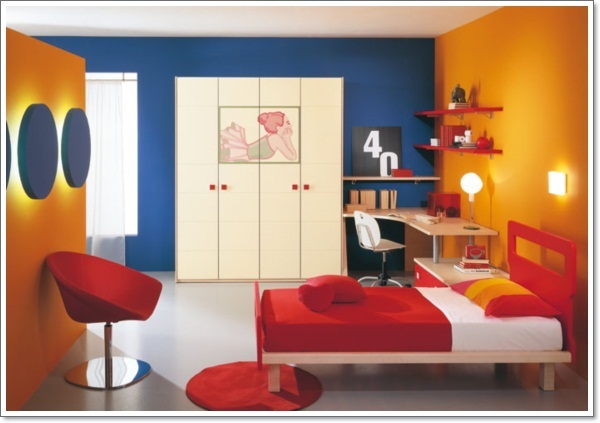 Add color to the room and make it joyful. A growth chart or a drawing wall will encourage the children to join together to make a mural. The child is growing and no longer wants a young theme. Each child grows at their own rate, and the choice made for them has to be one centered around his/her interests. 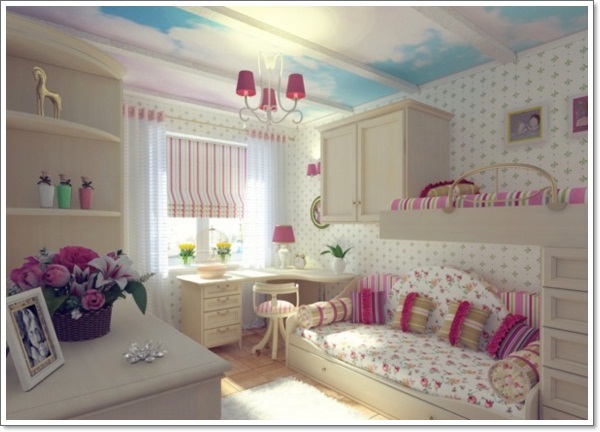 One teen may enjoy a pop star themed bedroom while another child of the same age may be studious and want to have a scheme which is relaxing and which has a reading area. 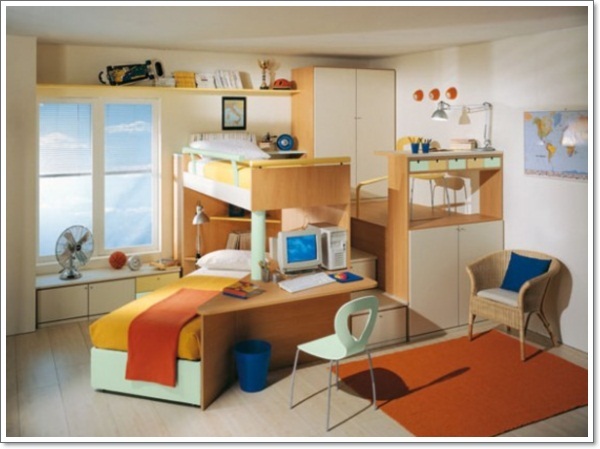 Children’s rooms can be adventure playgrounds. Many parents like to create bed spaces which are tucked away so that the child feels safe but also feels that this is a den. Kids love dens and whether this takes the format of a tented bed or simply one which has wooden dividing panels, the fun is that the children can play hide and seek in their own little space. 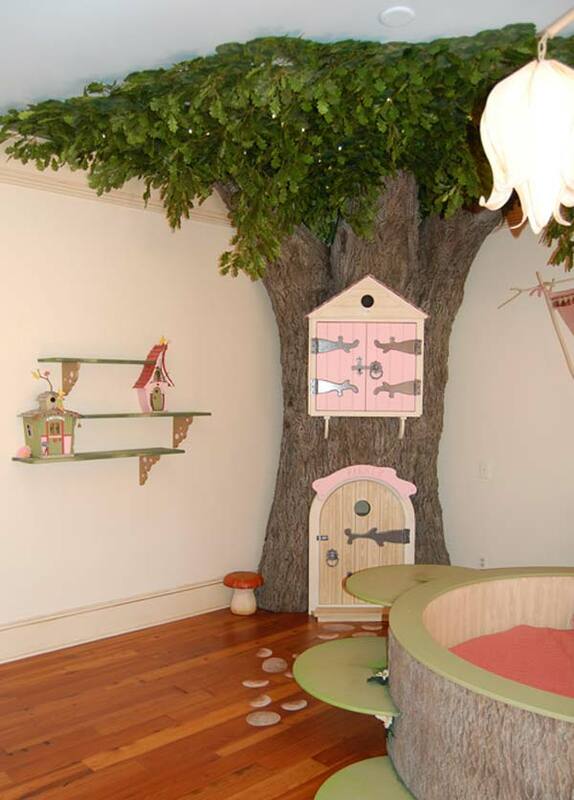 A fairyland theme is a great one for a small child. Decals make this possible by adding trees and mushrooms, and magical pictures. A bed that is safely enclosed by its own wall, reached by steps makes this land of goblins and fairies complete. The kid who goes to school and brings back friends may like a room that encourages entertainment. 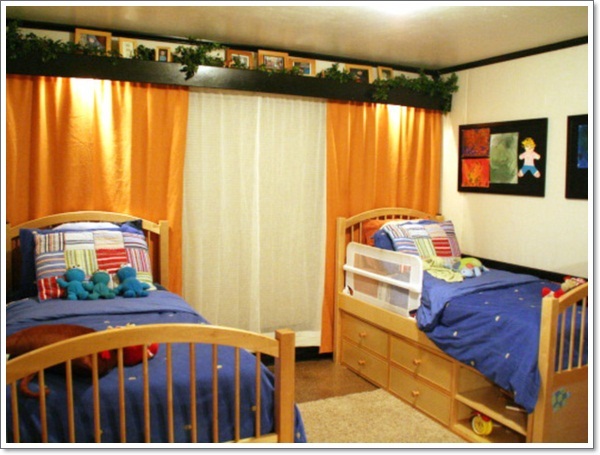 With bedrooms such as this, the bed becomes a seating area, where the child and his/her friends can enjoy each other’s company. 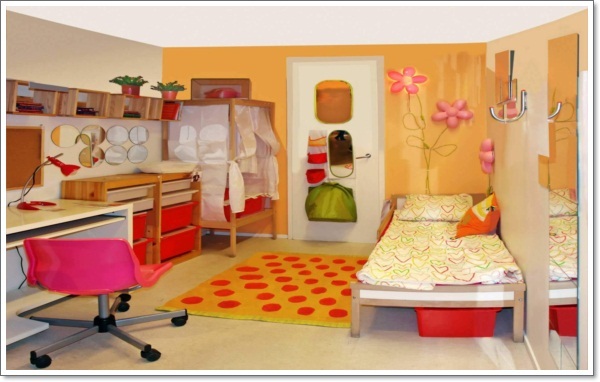 Organization of the room is pleasantly surprising too and parents will delight at the inspiration of this kid’s room, as kids are encouraged to tidy up easily ready for friends to visit. Looking at the stars can become a real possibility with lamps these days which place the stars firmly onto the ceiling of the bedroom. A star themed bedroom can incorporate dark walls, so that the stars show up well. Bedspreads with a star theme and wall charts on the galaxies will really make this room an inspiration for the child who loves to star gaze. The pop star theme is one that girls may enjoy. A makeup mirror like those used in star’s dressing rooms can grace the dressing table. A picture of her favorite star can feature on a wall in the room, and CD racks and mini hifi add to the scheme. Whatever the age of the child, there is always something which will inspire. 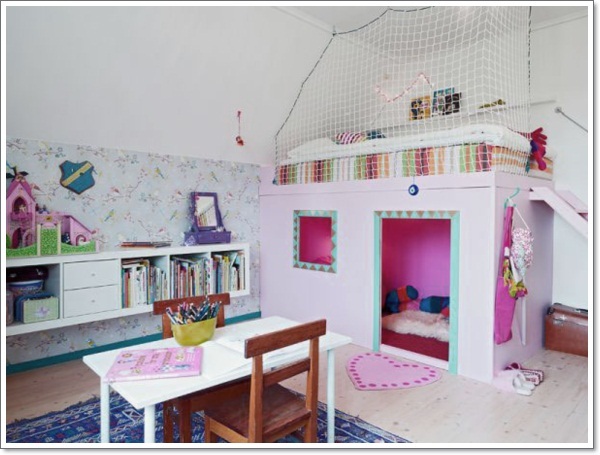 With the help of your children, you really can make their rooms amazing and, at the same time, learn about what they really like. It helps the bond between parents and children to know each other’s likes and dislikes and the bedroom, which is their private space, should reflect their personality and style.